Our range of products include brass band heater, band heater, electric band heater, mica band heater, mica insulated band heater and drum band heater. Our company has gained acknowledgement as the affluent manufacturer, exporter and supplier of a qualitative range of Brass Band Heater. 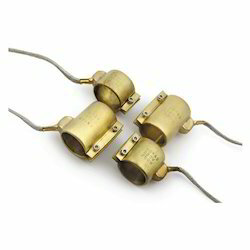 That is utilized in several industries for heating purposes. Provided heaters are precisely designed by our professionals at our well equipped manufacturing unit with the use of superior quality raw material and the latest technology in compliance with the international quality standards. Also, clients can avail these heaters from us at market leading rates. Running with an objective to meet the requirements of our esteemed clients, we are actively committed towards offering high quality Band Heater. 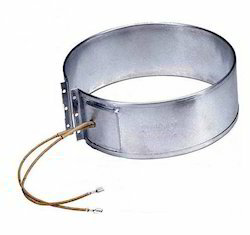 Broadly used in several industries, this band heater is used for various purposes in an efficient manner. In order to ensure that only qualitative heater is delivered at users' end, it is strictly tested on various parameters of quality by our veteran quality auditors. With the support of our unmatched business ethics, work ability and a crew of smart professionals, we have come up with a wide collection of Electric Band Heater. 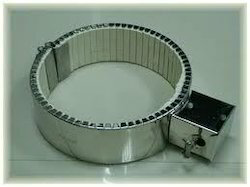 This heater is used in several industries for the proper and efficient heating. Our provided heater is manufactured with the help of superior quality components and other allied materials under the fruitful guidance of our skilled professionals. 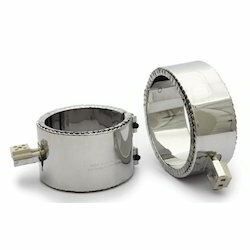 Also, we provide this heater with rugged flameproof enclosures at reasonable rates. 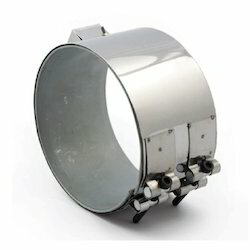 Backed by highly knowledgeable professionals, we have been able to offer superior quality Mica Band Heater that are ideal for several industries for the heating purposes. Precisely engineered by our veteran professionals with the help of well tested raw material and modish technology, this heater is also checked on well-defined parameters to provide defect-free products to the clients. We provide this heater to our clients at nominal prices. 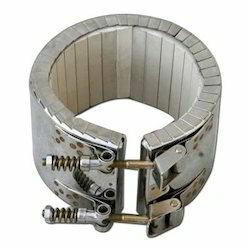 We are the leading manufacturer , exporter & supplier of Mica Insulated Band Heater widely used in Used in extrusion processes machine and the plastic injection molding . Our skilled professionals manufacture these heaters, from high quality components, using the latest technologies. In ahead of their final dispatch, our offered heaters is thoroughly checked by our quality controllers against varied quality parameters. Available with us, in a various specified options, all of which is highly demanded in the market. Aimed at prosper growth in this field, we are instrumental in manufacturing, exporting and supplying an excellent quality Drum Band Heater. Well known for its precise size and easy installation, these heaters are commonly utilized in various uses. 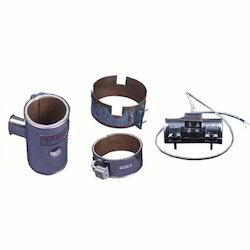 With the use of qualitative material, our professionals manufacture these heaters with high precision. Also, these heaters are properly checked against several parameters by our quality controllers as per the quality measures just to ensure defect free delivery. To serve the requisite demands of our clients, we are engaged in manufacturing, trading, importing and supplying a qualitative range of Industrial Band Heater. These heaters are designed by an experienced team of professionals, with in-depth knowledge about the latest trends prevailing in the industry. In addition to this, clients can avail this range from us in diverse specifications. Moreover our esteemed client can get the offered heaters from us at normal prices. Backed by a team of adroit professionals, we are manufacturing, trading and supplying an extensive array of Chromalox Band Heater. Designed with utmost precision, this cutting press is manufactured from quality proven raw material. 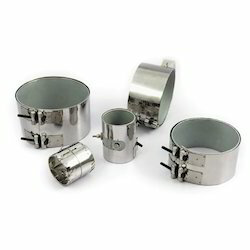 Moreover, our clients can avail these heaters in several specifications in accordance with client’s requirements. Owing to their quality, these heaters are highly appreciated around the globe as this is manufactured as per international standards. Owing to a modernized infrastructure for trouble-free processing & post-production, we is instrumental in offering quality assured Brass Sealed Band Heater. Made up of pure brass. Our offered product is manufactured under the guidance of skilled engineers with vast experience in this domain. The entire range is well designed from quality approved raw material and advanced technologies. Our client’s can get this from us at marketing leading prices. 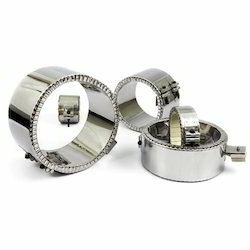 For many years, we are into the business of manufacturing, exporting and supplying finest quality Ceramic Band Heater. These heaters are also available in several specifications as per the particular needs of the clients. 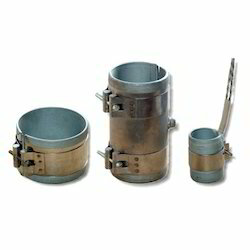 These heaters are carefully designed with the use of best in class raw material and modish technology. Also, our esteemed clients can avail these heaters from us at most reasonable price.